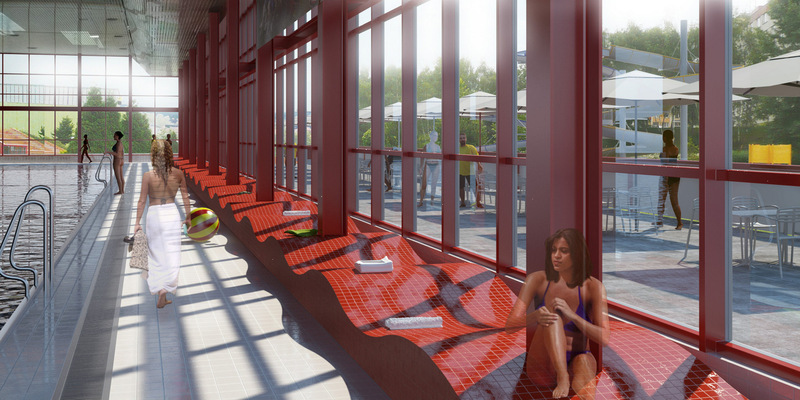 The goal of the reconstruction of the indoor swimming pool in Ostrava – Poruba is to create a united look of the technical and material concept. The project tries to evenly spread the running attractions through the whole areal. It tries to avoid an empty blind spots and also avoid creating overcrowded places. 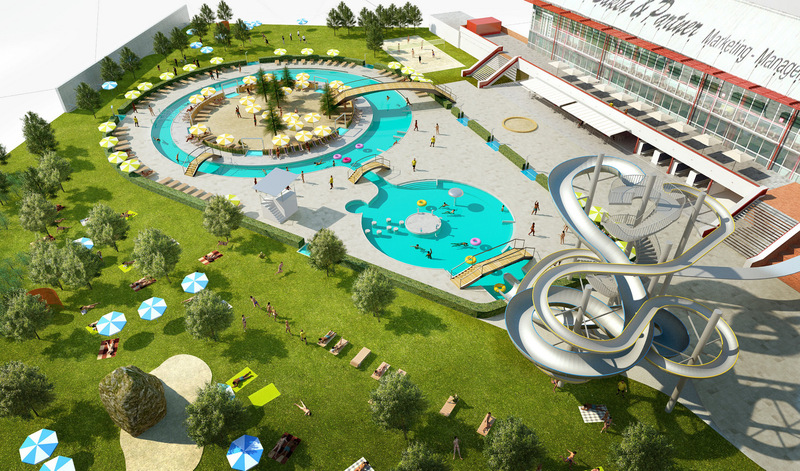 All newly building elements within the areal, expect for the water slide and the lifeguard’s tower are at the ground level. Passages in between individual water areas is ensured by footbridges and an island in the middle of ‘a lazy river’. 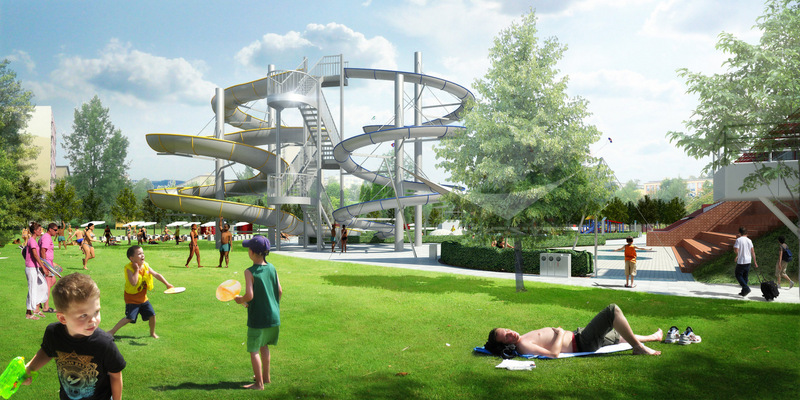 The accesses to the individual water attractions depend on the cleanness of entering persons. Because of this reason all the entrances and the areas that are connected to them possess its own wading bath for a feet cleanup. 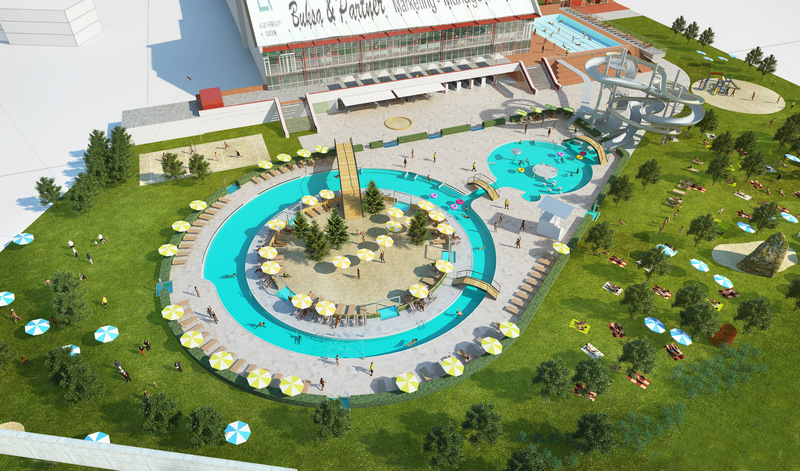 The whole project keeps an integrity with the current object – the indoor swimming pool. 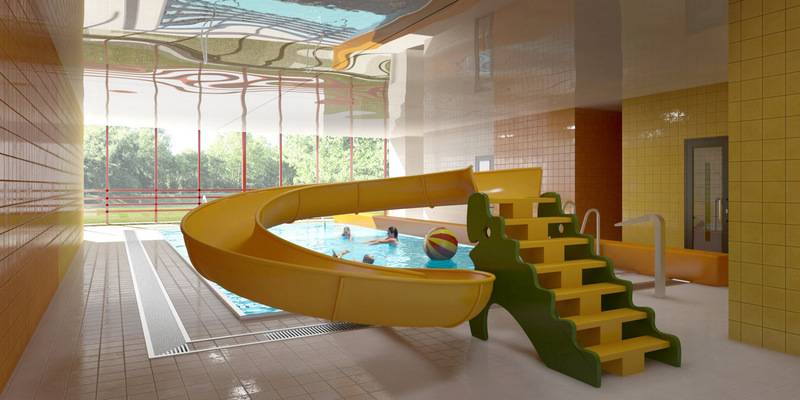 The goal is to create an attractive surrounding of the indoor swimming pool that can provide its visitors a well-deserved comfort during the summer season.